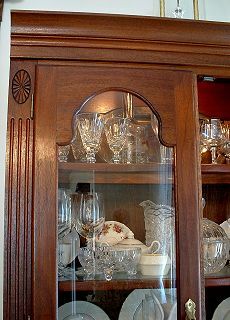 Solid mahogany bookcase and china cabinet. Hand-carved medallions, brass hardware, frame-and-panel doors with book-matched door panels. Detail of hand-carved medallion. 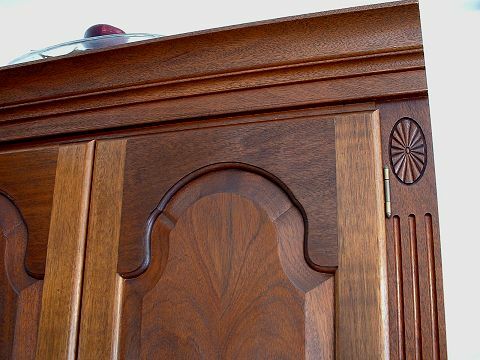 Top mouldings were custom-made. Mortise-and-tenon joints on doors were hand-fit. 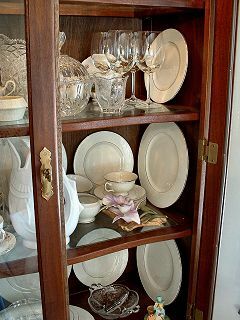 China cabinet features interior lighting and glass insert shelving.